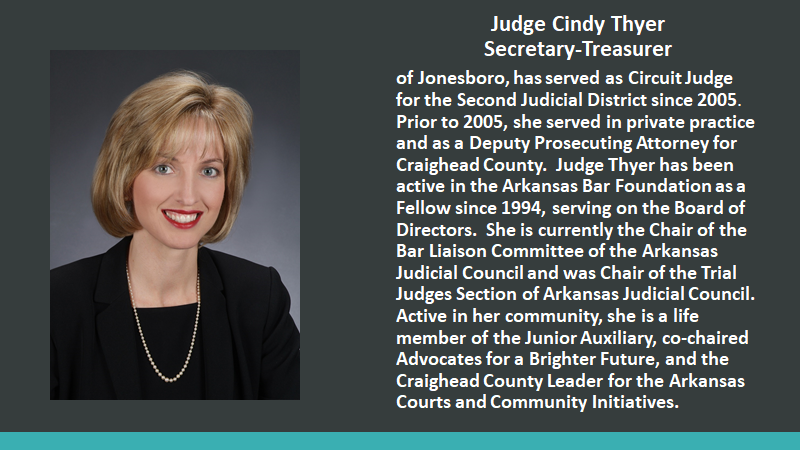 The Arkansas Bar Foundation is governed by an eighteen (18) member Board of Directors. 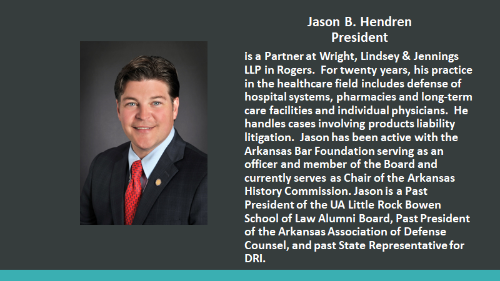 The Board is composed of Fellows elected by the Foundation Membership from each of three state bar districts plus the Arkansas Bar Association President, the Immediate Past President of the Foundation, and the Chair of the Trust Committee, who serve as ex-officio members. The Officers of the Foundation are the President, the Vice President and the Secretary-Treasurer, who are elected by the Board for one (1) year terms. Members of the Board are elected at the annual Foundation Membership meeting in June. There is also a Trust Committee which is composed of experienced lawyers who serve six-year terms. The Trust Committee distributes the income annually to worthy projects. A separate operating account pays the cost of running the Foundation. 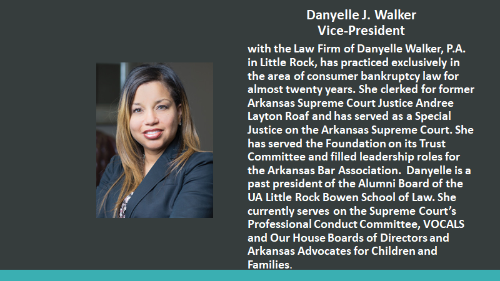 PLEASE MEET OUR OFFICERS OF THE ARKANSAS BAR FOUNDATION! 2021 Judge Timothy F. Watson, Sr.